Nothing is better than the surprise, spectacular taste of an unfamiliar Chardonnay. 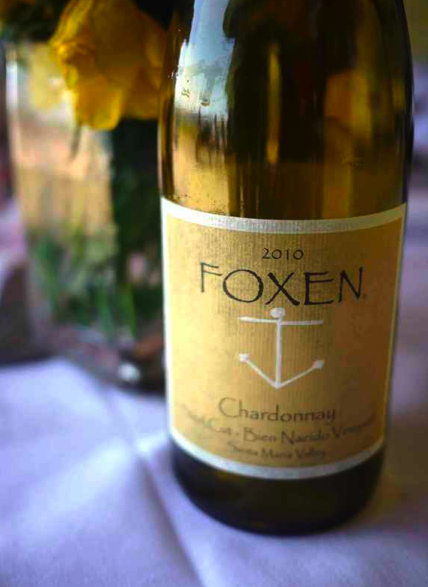 This week I opened a bottle of 2009 Foxen Chardonnay on the recommendation of another discriminating Wine House employee. The bottle has been chilling in my wine cooler for weeks now, just waiting to be enjoyed. For some strange reason watching Mission Impossible III seemed like the appropriate occasion to drink it. The movie was thoroughly entertaining but definitely upstaged by this smooth, full-bodied Chardonnay, boasting flavors of "earthy grapefruit, green apple, spice and floral scents." It's one of the those noticeably impressive wines, even if you don't know the year, the vintage, or the cost. Foxen's website, on the other hand, is unimpressive, so don't make any judgements about their wines based on their taste for web design. Instead, take the time to read their story and you'll learn that this family vineyard is anything but ordinary. Moderately priced at $32.00, you'll enjoy this wine with any meal, and most action films. Enjoy. Come here often? Subscribe to our blog, or follow us on Facebook and Twitter!